Jaguar Colorado Springs has the new all-electric vehicle you have been waiting for, the new 2019 Jaguar I-PACE HSE! This stunning SUV delivers an EPA estimated 234 miles on a single charge. Providing stellar environmentally-friendly mileage does not mean you will miss out on the performance you expect from Jaguar. The Jaguar-designed electric motors attached to each axle deliver an astounding 394Hp, propelling you from 0-60 MPH in as little as 4.5 seconds. Stepping into the cabin, this sporty crossover is loaded with premium luxury amenities including comfortable 18-way heated/cooled light oyster sport seats, Blind Spot Assist, the immersive audio of a 825W 14-speaker Meridian surround sound system, InControl voice-activated navigation, Park Assist, panoramic sunroof, premium Piano Black interior trim, and much more! The extra traction provided by the all-wheel drive powertrain is unparalleled when weather conditions are less than optimal. 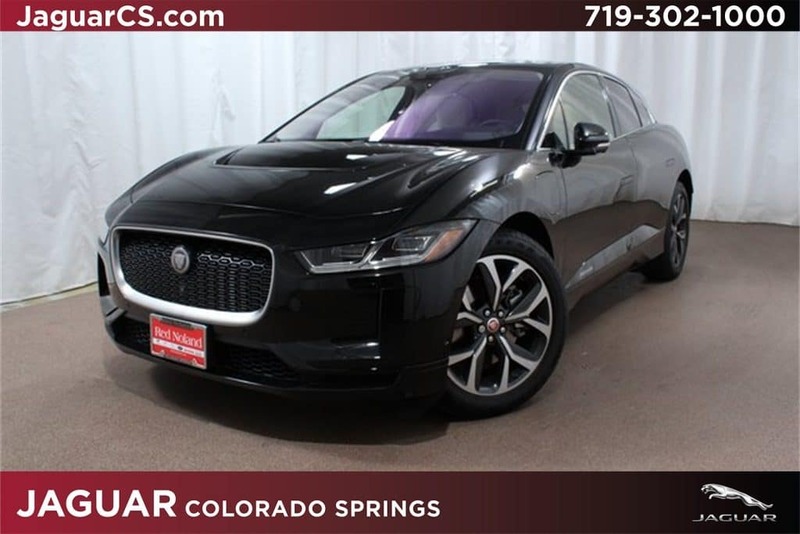 Contact Jaguar Colorado Springs for more information on how you can earn $12,500 in tax credits when purchasing this innovative 2019 Jaguar I-PACE HSE today!